A dental practice website is a virtual dental centre visible to patients browsing the Internet. Whilst it is an essential practice marketing tool, it MUST fulfill ALL of the Professional Regulations prescribed by the General Dental Council (GDC), the Care Quality Commission (CQC) and the Information Commissioner’s Office (ICO). 1) Information only Websites – Static or brochure websites where there are no electronic links displayed or used to convey personal patient data. These websites have to comply with GDC (SI 2002 2013) and CQC Regulations. 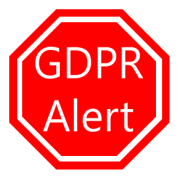 2) Information/Communication Websites – Dynamic or transactional websites using electronic communications to harvest personal patient data via messaging or e-forms must comply with SI 2002 2013 AND SI 2003 2426 in accordance with GDC/ICO/CQC Online Compliance Regulations. BDJ Articles; Does Your Practice Website Need Updating?, Quality and Content of Dental Practice Websites, Summary of: Quality and Content of Dental Practice Websites. The Use of ICT in Dentistry. All Valident customers are eligible to use the Consultancy Service to ensure their dental practice website fulfills all of the GDC/CQC/ICO Regulations by registering here. 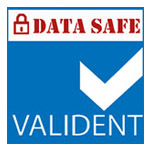 I trust the Valident service will provide you with a valuable secure communication facility to enable you, your patients and your colleagues to interact within a safe online environment. As a dental surgeon with very many years experience in practice I also know about the safe professional use of the Internet.